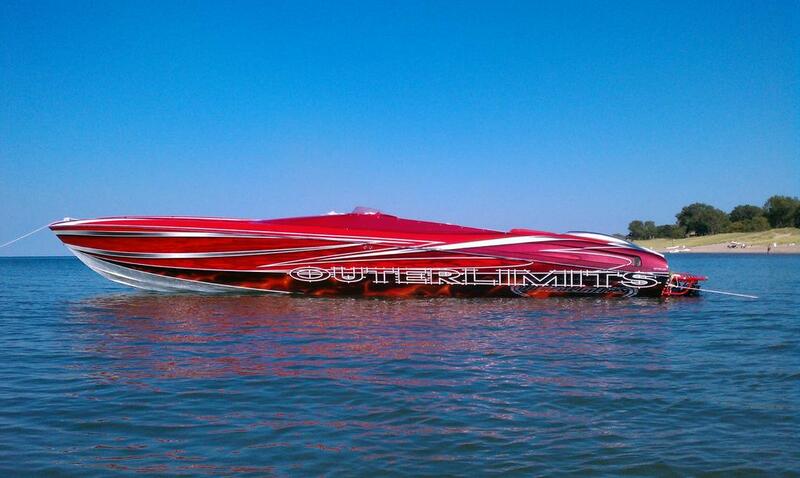 I was looking for feedback in a high performance boat website whenone of the members told me I should look for input specifically from the 928 group over here on Rennlist so that's how I got here. 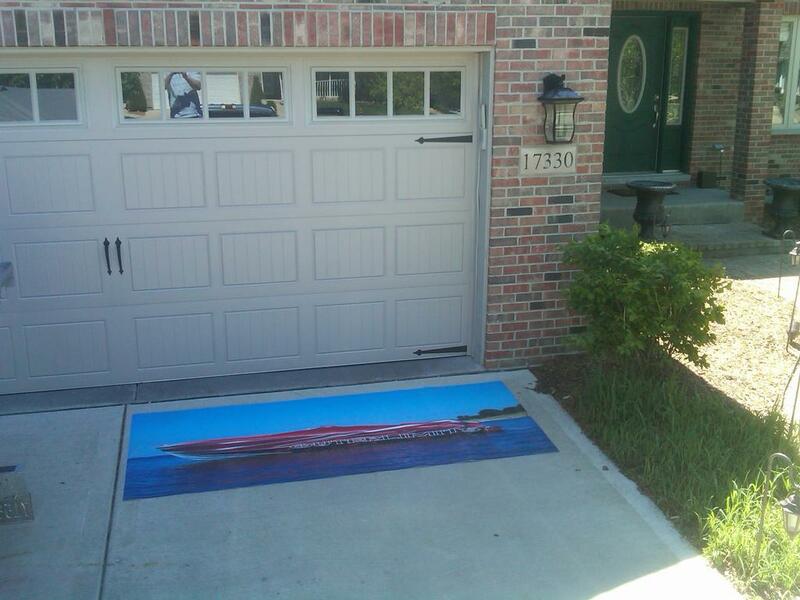 As mentioned I'm looking for some feedback from you guys around a product we will be lauching to the high performance auto market which is an outdoor textured surface graphic that can be customized to have your own car pic on it. 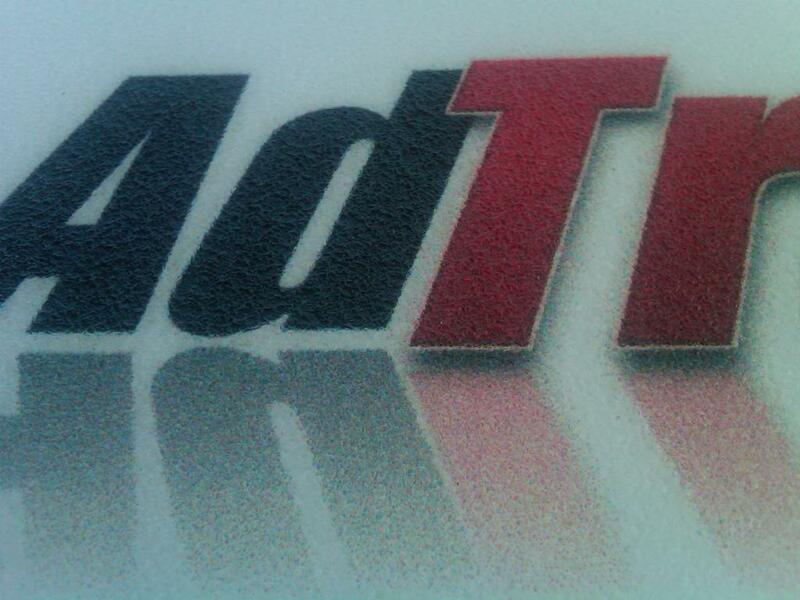 The product is called "AdTraction Customized" and really the best way to describe it to provide you with a good mental image is as an enormous bumper sticker that can be applied to almost any outdoor/indoor hard surface suchs as concrete, asphalt, textured brick, etc. The top exposed side of the product is a textured surface (not glossey) which is slip resistant and the bottom is a peal away adhesive (very stickey) and the sizes we will be doing are 2'x3', 4'x6, and 4'x10' so this isn't just some little sticker we're selling this a full blown floor shot of your car that can be placed anywhere you want. The product is extremely durable (driven on, biked or ran on)..and to really put it to the test about a month ago I placed a sample in the driveway of our steel company where upwards of 50 semi-tractor trailers pass over it daily with heavy loads of cold rolled steel and the product (while dirty) held up incredibly and with a little windex and a tire brush cleaned up just fine. As I mentioned it's a peal off the back and stick application and with a little prep of the surface area to clear the dirt/oil you simply apply and follow with a small heat gun (which really make it adhere to the surface) and roller to get out any bubbles and smooth out any air pockets. It's not rocket science to install which makes better for the customer. 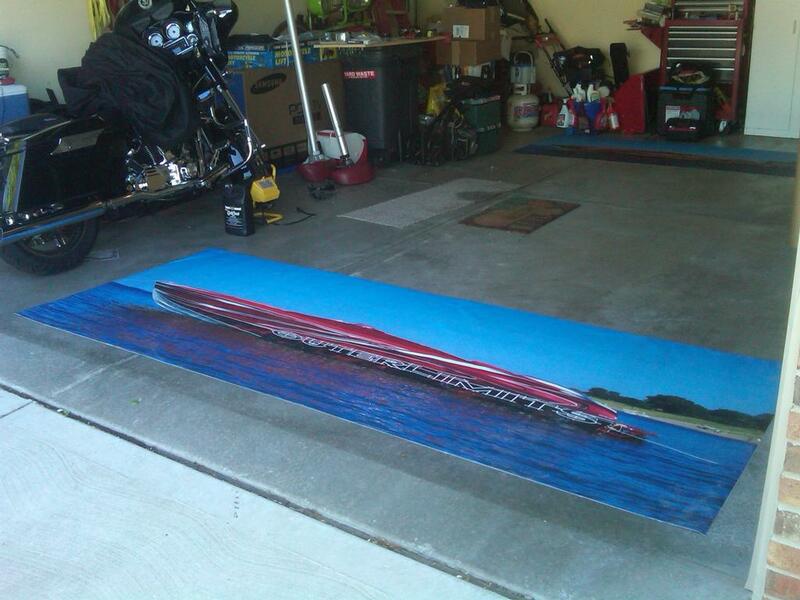 Below is a sample to take a look at and what I've take a pic of the new 928 Porsche and overlaid in a garage (the picture in the pic is just intended to show what it is) and you will also notice original picture of my buddy Rich's 42 Outerlimits anchored on Lake Michigan which I made a 4'x10' sample of and placed it in areas we believe you the customers might want to see it. I know a lot of you are saying it would be attractive if the price is right..we're going to make the pricing as reasonable as we can along with one of our main goal to provide the best product we can. Looking forward to your responses and if you have any questions or comments let me know and keep them in this thread so others can see.....however if you'd like to contact me directly email me at [email protected] and in the near future we will be making a formal lauch of the product here on Rennlist (under a paying advertiser classification)with pricing, detailed product information, picture file format and installation instructions and a link to an online order form and payment method so stay tuned. When you click on the picture to view click it again to enlarge the photo to get a better view of how the picture resolution comes out and see how the textured surface makes it look. Wish I had friends with Porsche's or I would have did a sample of that instead of showing you a boat on a Porsche website but i think you get the idea. What is the price of each size? We're finalizing and will publish it in a week. I think I would prefer to have this on the wall and not on the floor. Other than the cool pic of your own car what purpose does it serve on the floor? I agree with Dan. I'm not interested in parking my car, stepping on, and working on a picture of one of my cars. I think it would kinda be cool to have a shot from the top of your car, and reproduce it to scale. You could place it perfectly in your "spot" and not have to rely on another parking reference point. Then, even when your car isn't in the garage, it STILL is. Likewise, a complete side shot done to scale would be cool on the wall adjacent to the car. 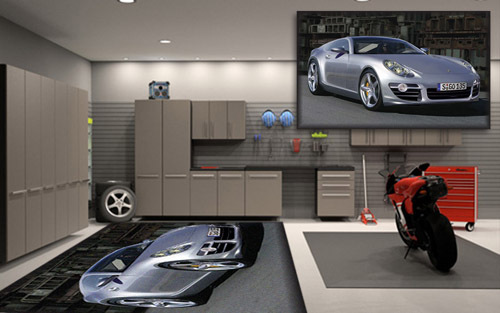 How about a rear or front image for a garage door? I don't want to hurt your enthusiasm but this would be of no value to me, personally. If I want to look at my car, I'll look at my car. I know where I park my car and don't need a picture on the floor, yet, to remind me where to park. I honestly said "WTF?" when I first saw your pictures. Not trying to be offensive but it seems like the wrong way to go to market. Would you be afraid that parking over an image of your ex would somehow damage the underside of your car? ^^^ What don said --- especially for 84. I don't think you understand; as you probably didn't read the rules, when a member (at least you have a membership) posts something for sale, said member Must post a price for the items listed.